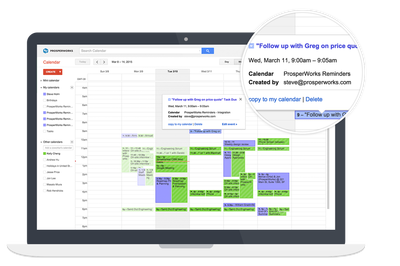 ProsperWorks is a brand-new CRM that's designed to be affordable and an integral part of your Google Apps experience, while still giving you the power to efficiently track your leads and deals. ProsperWorks is small and responsive, making it ideal for small businesses that don’t need the complexity of an enterprise CRM. 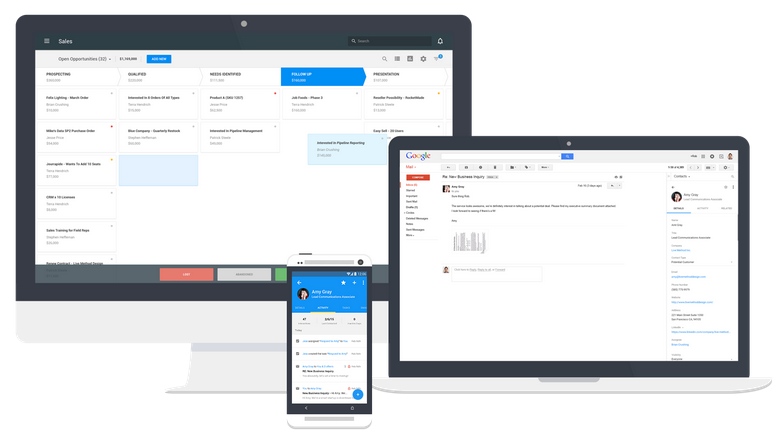 It all starts in Gmail, you already live in your Gmail inbox all day, keeping up with the barrage of emails from clients, partners, and those random newsletters you keep forgetting to unsubscribe from. When you log into ProsperWorks, it'll show you the people it thinks you should add as a contact, and in one click you can add them to your CRM as a potential lead or ignore them. 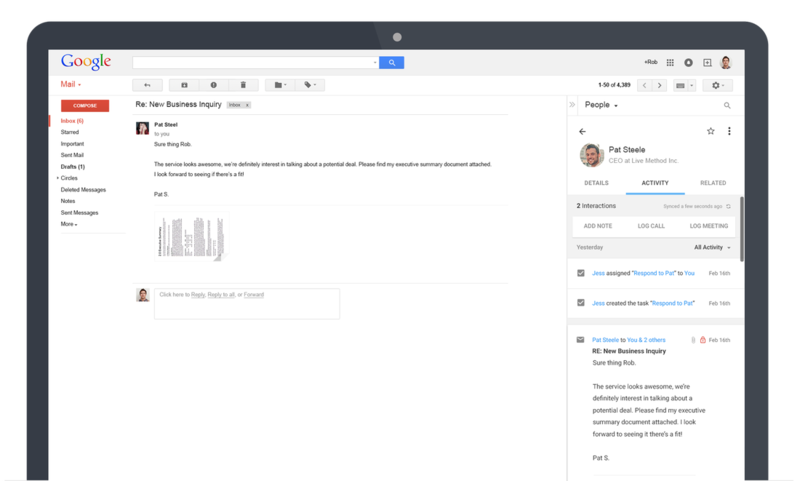 Emails will automatically show up on their profile, and you can quickly turn them into a lead. 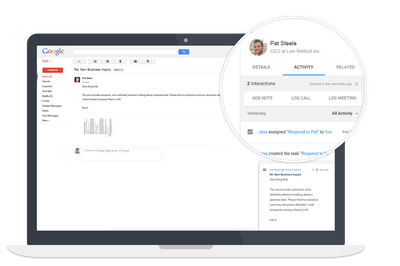 Then when you open an email you'll see a contact pane that will show that contact's info from the CRM, including related email conversations, tasks, extra contact info and more. Or, if they're not already a contact, you can turn their name and email into one quickly, and ProsperWorks will fill in the extra details on its own. With ProsperWorks' automatic customer research you get a complete customer profile without lifting a finger: ProsperWorks searches the cloud to get phone numbers, emails, job titles and social profiles and adds them to the contact profile. 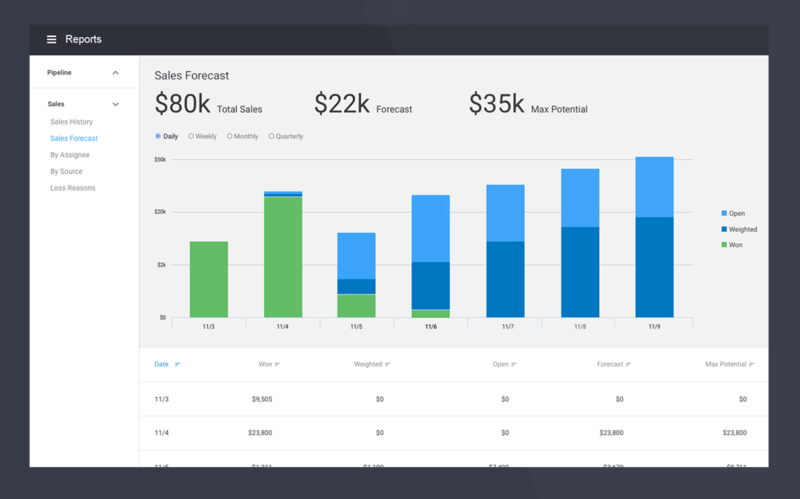 Since ProsperWorks requires far less data entry, salespeople can focus on their deals and managers can make better decisions with accurate, real-time data. Then, when it's time to manage those leads and deals and track their progress, you'll hop back into the real ProsperWorks dashboard where you'll see your potential leads and in-progress deals on a kanban-style board. You can drag-and-drop them into their current sales position or log other interactions with contacts, and quickly see how long it's been since you've gotten in touch. 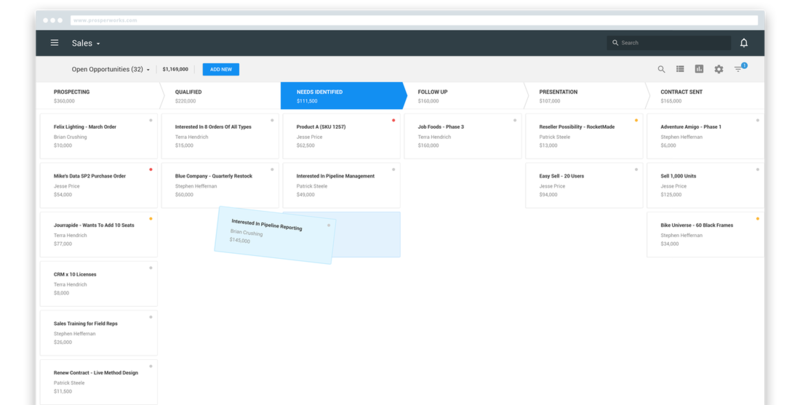 And, you can customize your sales pipeline or filter down opportunities to see just what you need at a given time. ProsperWorks is applicable to any industry, including advertising, distribution and real estate. 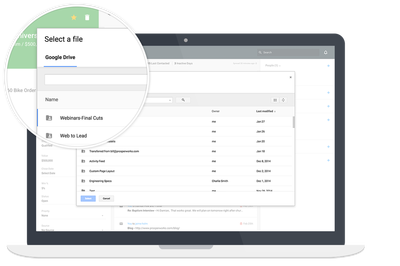 Because of its simple and familiar Google-like interface, there is minimal training required to get your team up to speed quickly. 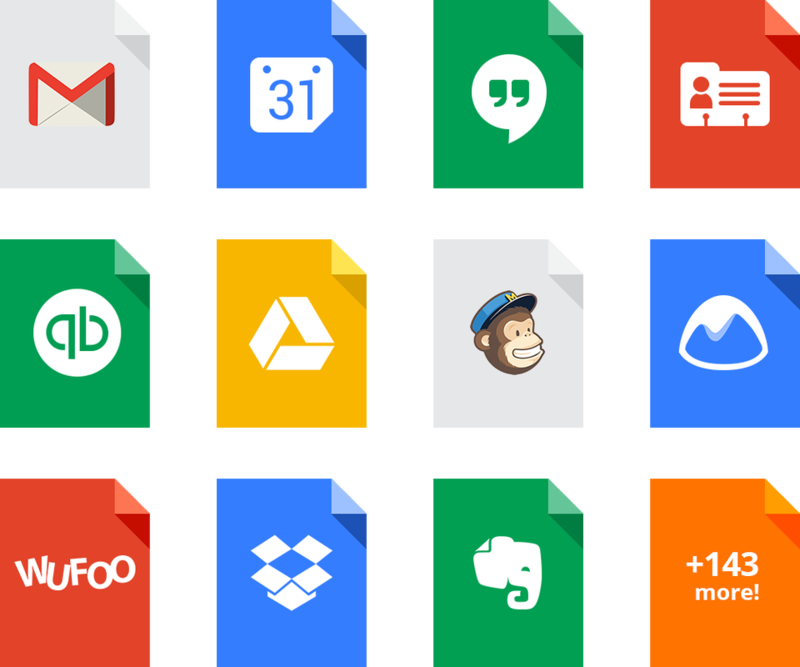 Streamlined to work with the entire portfolio of Google Apps you already use, including Gmail, Calendar, Hangouts, and Drive. By eliminating manual work for common tasks, ProsperWorks always has up-to-date information. The result is timely, accurate reporting and forecasting, so you can better plan for your business's future. Get a high level picture of your business. Know how your team is executing the plan. Get answers to questions like "Who are our top performers this quarter? ", and "What's our average deal size?" Plan your business. 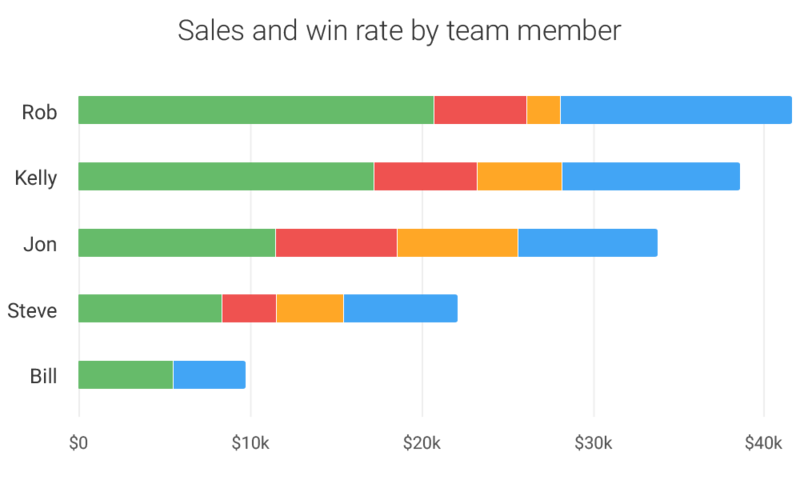 See where each sales opportunity is in the lifecycle, so you can better predict what's going to close and when. Get a 360 degree view of your customer to provide the best service. ProsperWorks integrates with your existing systems like Accounting, HR, Marketing, and more so you can see all your customer data in one place without copying and pasting. 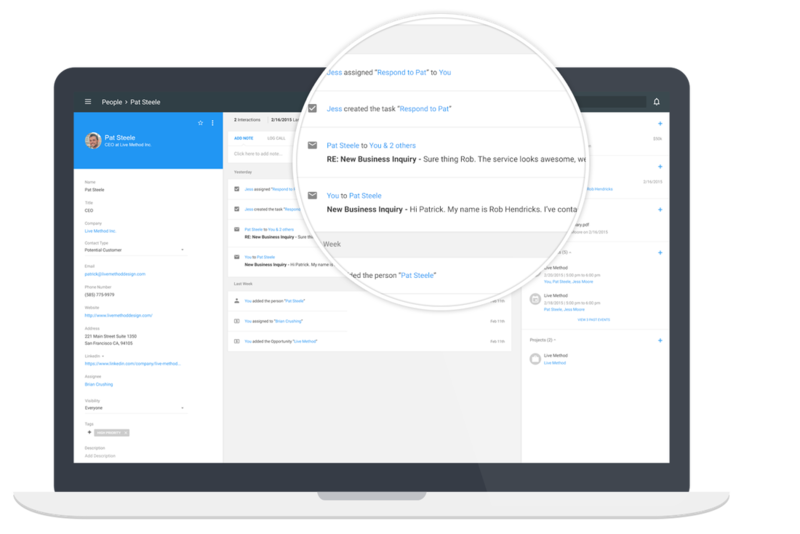 Sell anywhere and stay on top of your leads and opportunities across multiple devices. Move seamlessly between your mobile and desktop app wherever you are.